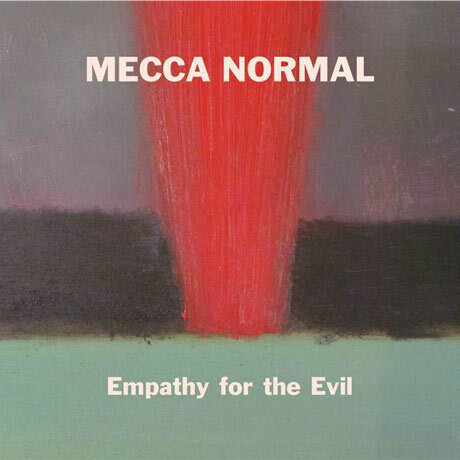 Currently entering their third decade as a collaborative force, the Vancouver art-punk duo of Jean Smith and David Lester maintain their stubbornly idiosyncratic approach to indie-rock minimalism on their 13th album as Mecca Normal. Smith's careening, artless vocals remain the band's most startling feature, technically limited yet elastic enough to shift between oddly comforting on the near-lullaby "Wasn't Said" and deeply unsettling on the nightmarish ten-minute centerpiece "Between Livermore and Tracy." Still, Empathy for the Evil is strongest when it allows Lester's rudimentary, yet melodic, chugging guitar rhythms equal prominence with Smith's performances, rendering tracks like the manifesto-like "Art was the Great Leveler" and the stark folk ballad "One Man's Anger" among the most satisfying on the record. Even better is "What's Your Name?" owing to its momentary broadening of the band's sparse sonic palette courtesy of moaning saxophone squalls.